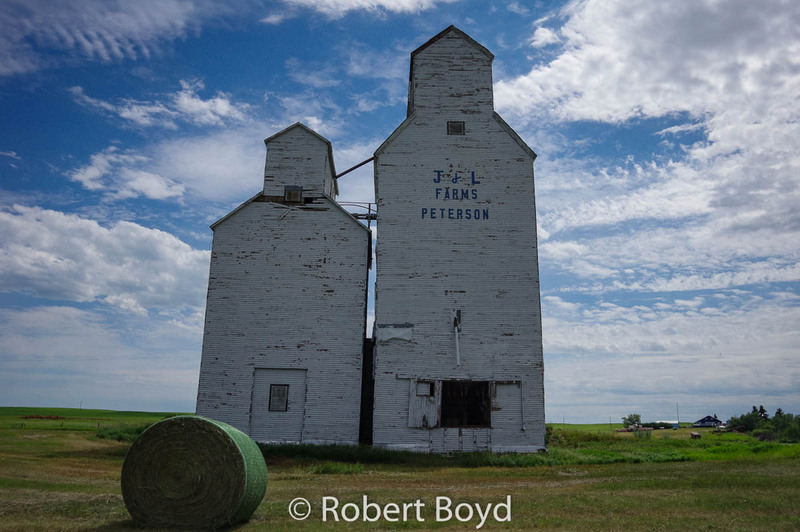 Peterson, SK grain elevator, 2017. Contributed by Mark Zulkoskey. 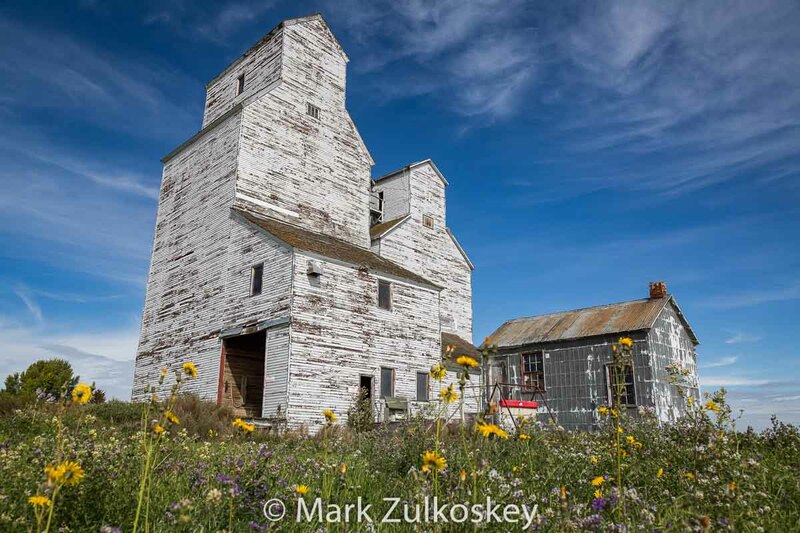 The grain elevator in Peterson, Saskatchewan consists of two twinned elevators – a larger former Federal elevator built in 1956 and a smaller elevator of unknown origins. The elevator is marked for “J and L Farms”. Peterson, SK grain elevator. Contributed by Robert Boyd.